The acting performances are actually very good, at times the story and action are captivating, and despite an obvious lack of a summer blockbuster budget, the special effects work well. What unfortunately drags Bless the Child down like a bat into hell is the fact that at least one of the scribes--or perhaps all four of them--never met a Catholic horror cliche they're not willing to invite into their convent to shelter from the demon of originality chasing the plot. With that in mind, I don't have to say much more about the story than that it is a bit of a mishmash of all Catholic-based supernatural horror films from The Exorcist to Stigmata and End of Days. It has a little girl who is on the side of good, a single parent whose faith has waned, a priest of sorts who is no longer a priest, a Satanic conspiracy, etc. You fill in the blanks. Since there are three screenwriters (never a good sign, although some films can overcome it) and one novelist behind this film, it's difficult to know exactly where to place the blame. I haven't read Cathy Cash Spellman's book. My guess is that one of the Hollywood writers was ordered to throw in some crying Virgin Mary statues, rattling tables and telling gushes of wind because one of the studio executives who read an earlier version of the script felt that the film would either be too subtle or too unusual otherwise to entail a marketable product. Why they thought that yet another film containing the line, "There is a war going on between good and evil" would make a more marketable film is beyond me. Of course the core of the plot, as noted above, is stock as well, but there is quality material under the blankets here. Bless the Child plays, in its final form, like something that might have been a decent book turned into an okay screenplay that was then rewritten by scriptwriters with wildly different styles (and I would guess there were really more than three of them) which stick out like sore thumbs from one another. At its best, Bless the Child is at turns understated and surreal. The scene where the girl gives life to a bird (featured in the film's trailer, of course), and the scene where she challenges one of the Satanic conspirators on a rooftop (also in the trailer) are examples of the film when it works. The surreal stuff, including what I'm sure many will consider cheesy special effects--the Christina Ricci scenes (not just because she's in them; they just tended to be the most well-written scenes), the scenes outside the chief Satanic conspirator's home, the demonic bats, the rats, etc.--is even better. If whatever studio exec who made the bad decisions--the real force of evil, in my opinion--would have left the film in the hands of the first couple writers, Bless the Child might have merited a better review. But unfortunately someone had to insert those infamous "she's so stupid" scenes wherein the heroine, in this case Kim Basinger, does things like tell the kid to run for safety when the bad guys are right there, waiting to get her, the minute she moves; they had to insert explosions and fires that chase people like a dog on their heels; they had to insert contrivances that make no sense within the logic of the film and characters in order to forward the plot, etc. 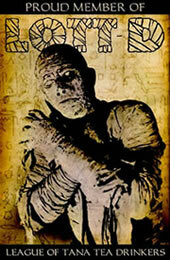 (think especially of the "mistaken identity" bit involving a wedding dress and leading to the final showdown). And the "there's a war going on between good and evil" line alone lobs off a point. 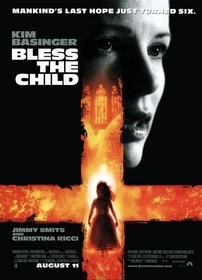 The bottom line is that Bless the Child, despite its problems, is very, very far from being the worst film of its ilk. Despite the Hollywoodisms and the low budget blight, this film should prove to be at least moderately entertaining for fans of supernatural horror, even though many of us can cite three or four films off the top of our heads that used the same indicators of good/evil and the same plot developments. It isn't scary--I don't think most horror films are, although a film like What Lies Beneath (2000), which isn't strictly horror to some of us, scared me at times. But as I mentioned, the performances are very good--most of the budget went to hiring quality actors, which was a smart move, and which created one of the primary reasons to check this film out.